Health Information and Education by San Diego Massage and Day Spa - massage therapy, Hot Rock treatments, alternative health suggestions, Nutritional coaching, detoxification, and Spa escape packages in Santee San Diego 92071. At the BodyMind Connection, your health needs are of utmost importance to us. Our desire is to help you find alternative approaches that will enhance your wellbeing and lifestyle. Our approach is to treat the entire body rather than the symptom that exhibits itself. We are problem solvers not symptom maskers. Posture analysis and correction using recommended integrated movement to eliminate dysfunctional muscle use. Using the Egoscue Method, we help people become PAIN FREE! 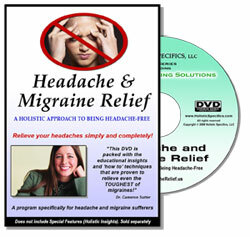 Two DVDs co-produced by Michael McCright to assist raising people to a higher plane of health. Relieve your suffering and pain using Holistic Principles outlined in the videos.